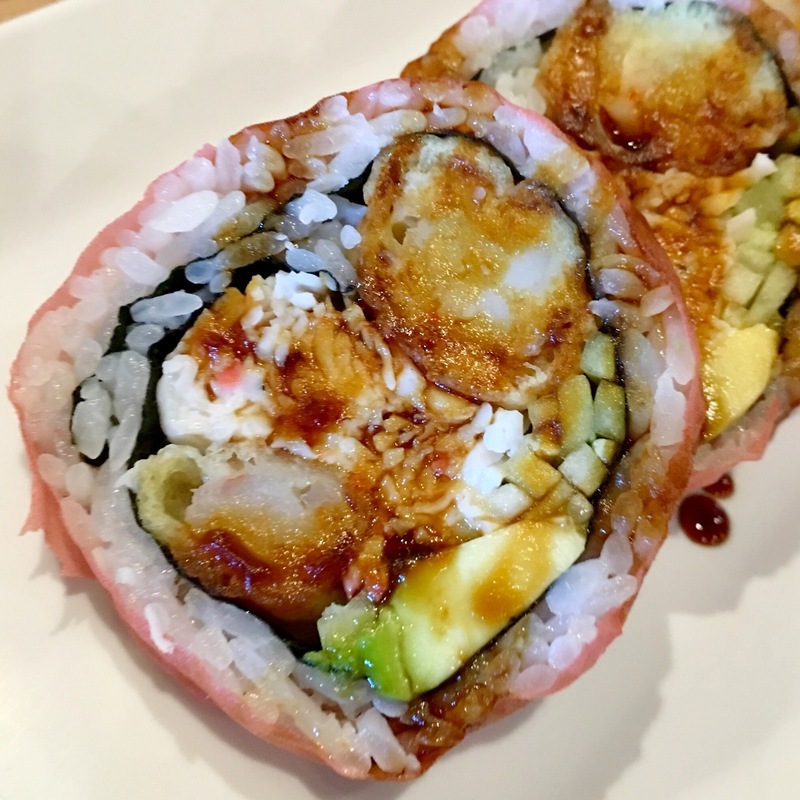 Outstanding shrimp tempura roll at Boto in Carmel Mountain Ranch. Here’s my favorite from the McPick Two special. I don’t think they offer this anymore, but it was the ultimate cheapskate lunch! 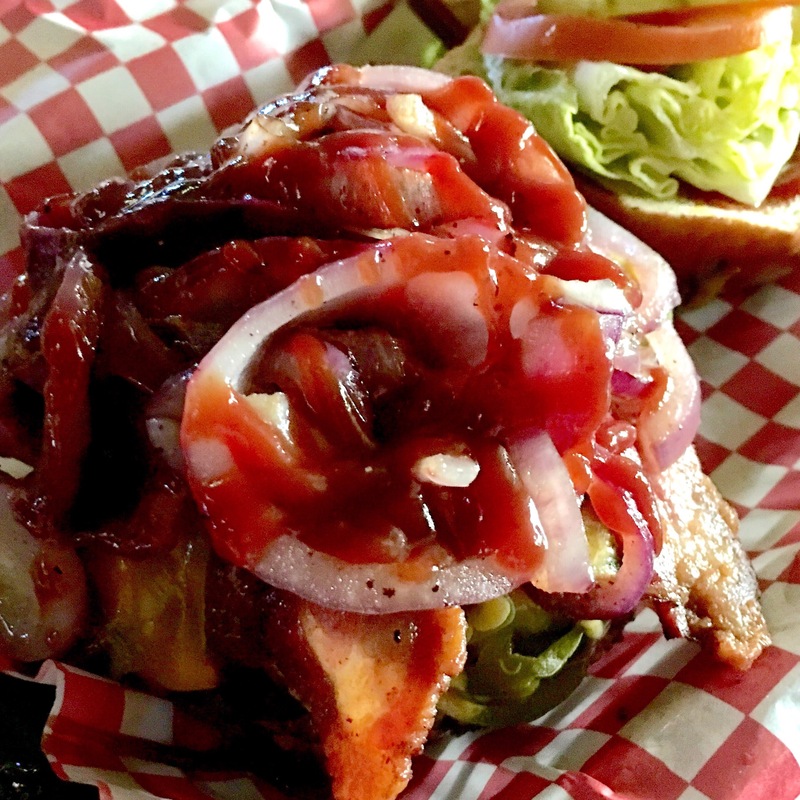 Dinner at Cheers of Ramona recently to check out their onion rings… First up though was my hot mess of a burger! I got the Cheers “Trail” Burger for $10.99. It’s made with all the fixins plus bacon, jalapeños, BBQ sauce, and onion rings with cheese. There was seriously way too much going on with this one! I had to change clothes half way though and take two showers after getting home. It was all good and everything, but took way too much effort to keep it all together. Literally made me tired eating this monstrosity. Menu called out onion rings, but there were none. It was just grilled red onions. Beef patty was a good, thick half pound, cooked perfectly, hot & juicy. 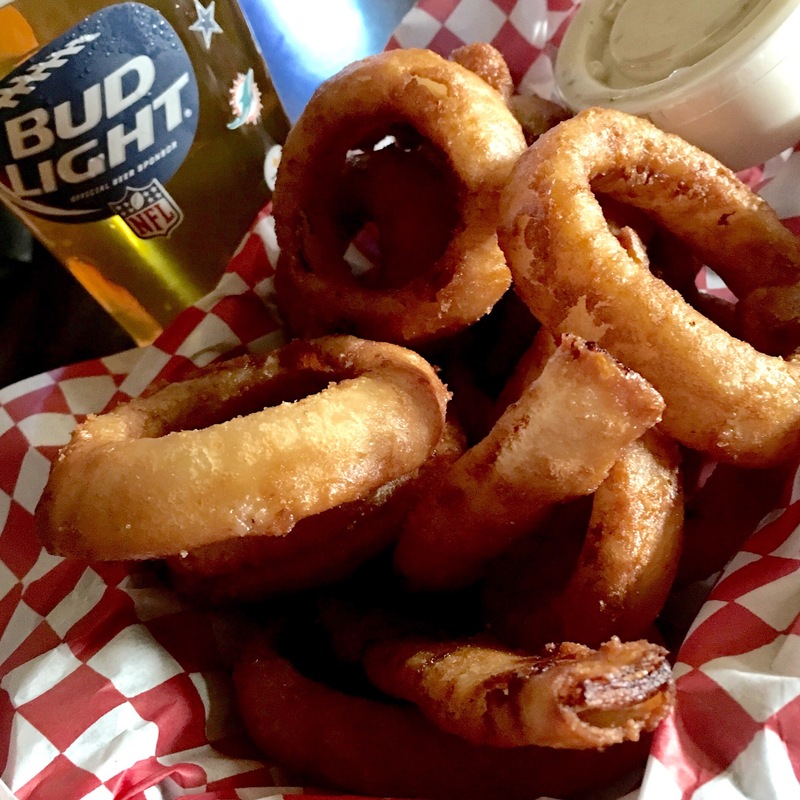 Next time we go back I’ll definitely be getting something on the simpler side!The appetizer order of “beer battered onion rings” here is $5.99. Their great burgers are a la carte, so you can add an order of fries, rings or frings to share with friends, family or loved ones. They came out perfectly hot and extra crispy, just how we like. Plus, not overly thick and fatty like D’Carlos. There’s more here in the basket than what the picture looks like so I’d say it’s a fair value. Comes with a side of really good ranch dressing. This was a solid 4 star serving of rings at Cheers. On par with what you get at UTHG/Way Point Saloon which were also 4 star a few weeks ago. Key differences were that Cheers were a bit hotter and crispier, but UTHG/WPS picked up the slack with their outstanding “fry sauce” and breathtaking tower presentation. Side note about the beer – and I’m not gonna sugar coat it! Tasted like the glass came straight from a hot dishwasher that didn’t quite make it through the last rinse cycle. 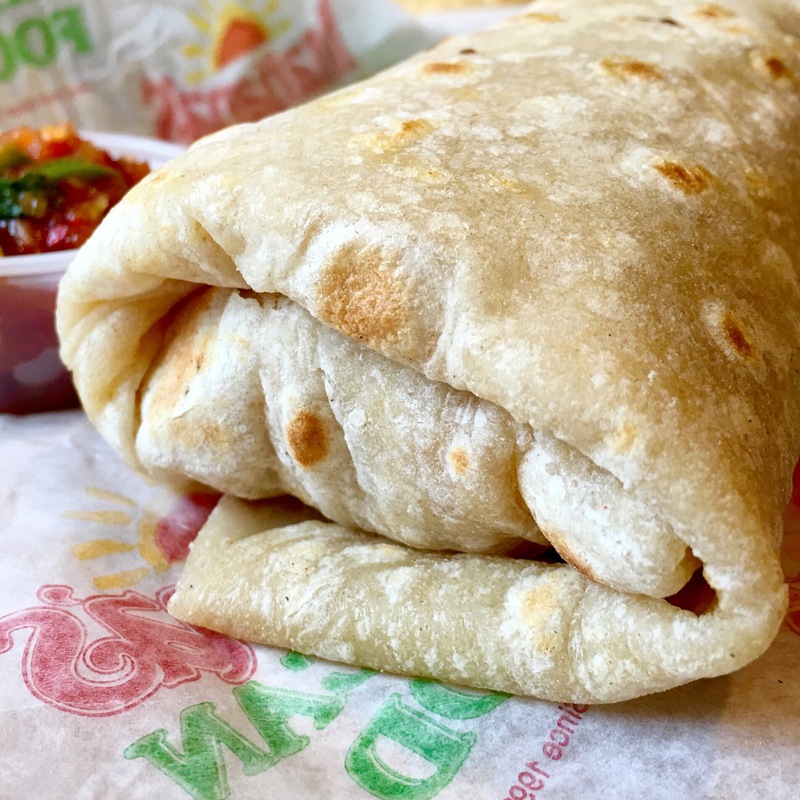 Even though they’re getting smaller and more expensive, this place still makes the best breakfast burritos in town! These new Bistro Roasted Sirloin dishes at OB are outstanding! 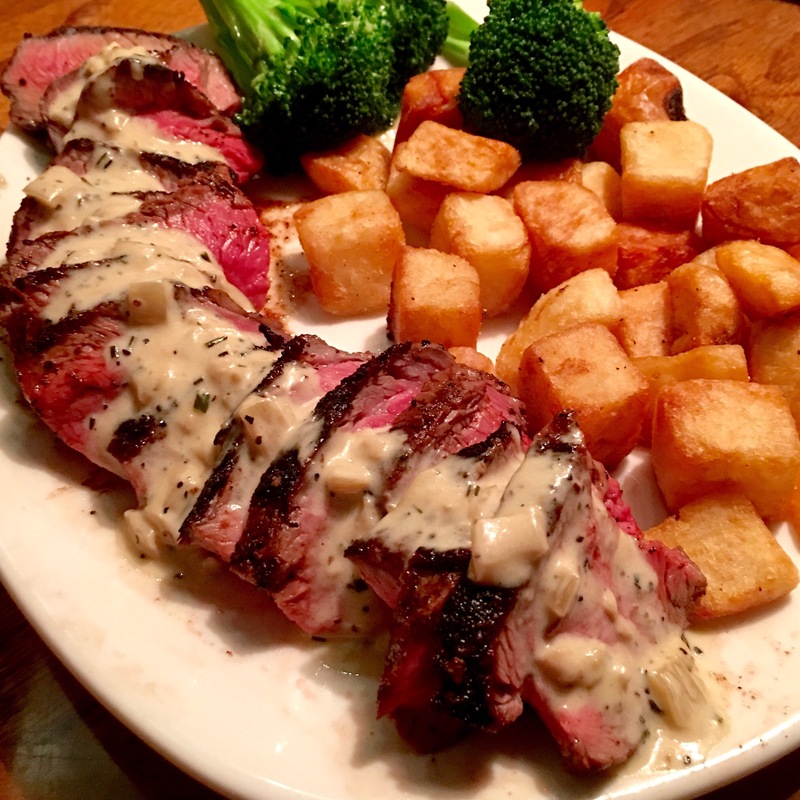 Tender, hand carved roasted sirloin topped with a creamy Dijon bistro sauce. 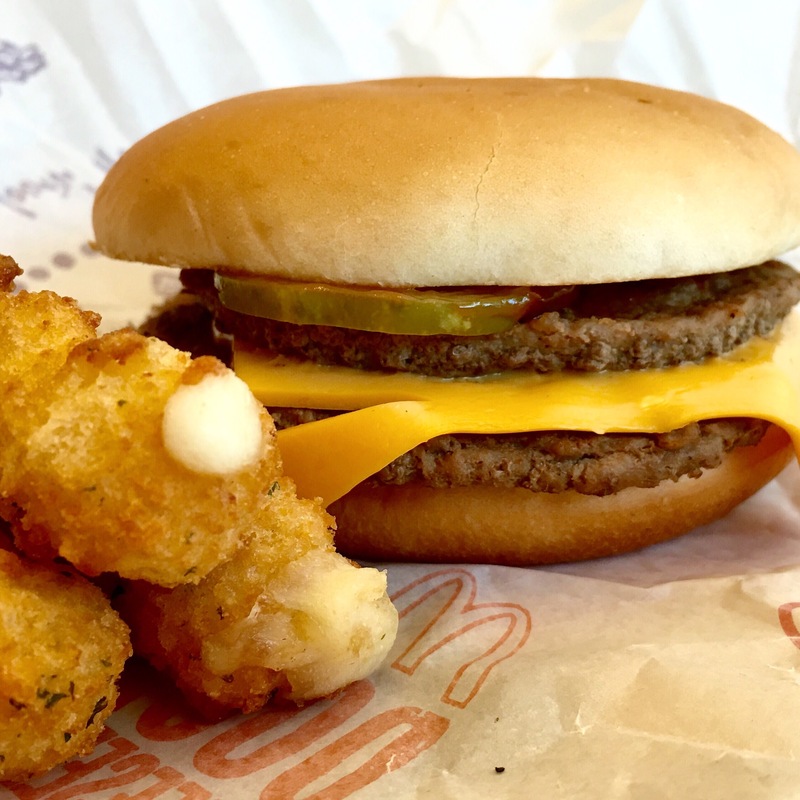 Served with crispy diced taters, and a broccoli garnish. Outstanding speciality roll they call the “Padres Roll”! Inside was tempura shrimp, krab and cucumber. 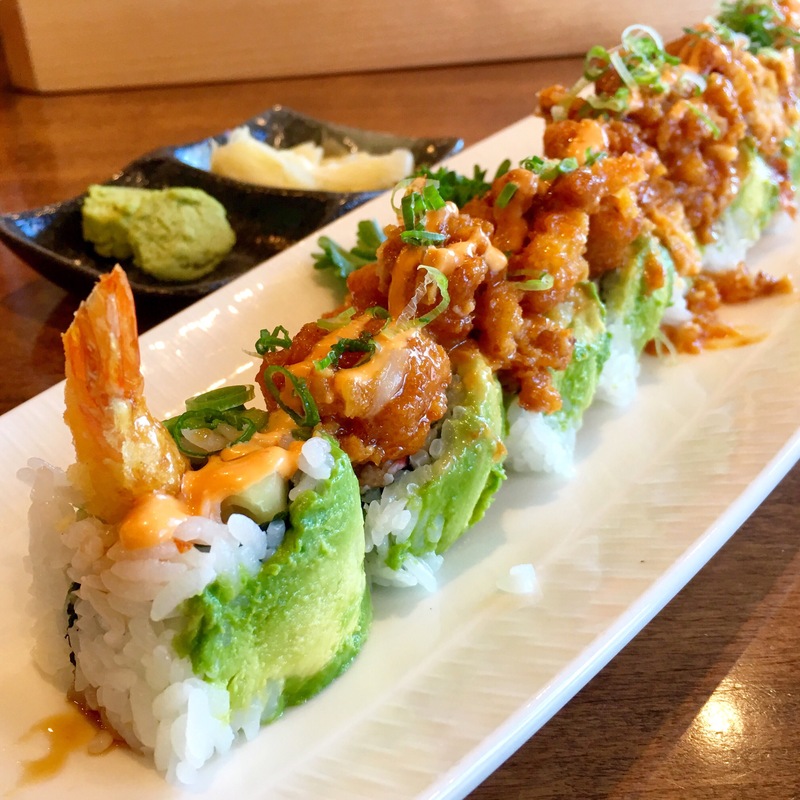 On top, soft shell crab, avocado, spicy mayo, eel sauce and green onion! Just had a root canal (or endodontic therapy as like to call it) and the dentist is right next door to the adult Chuck E. Cheese. Of course I had to go and get something soft before the numbing wore off and I couldn’t eat. 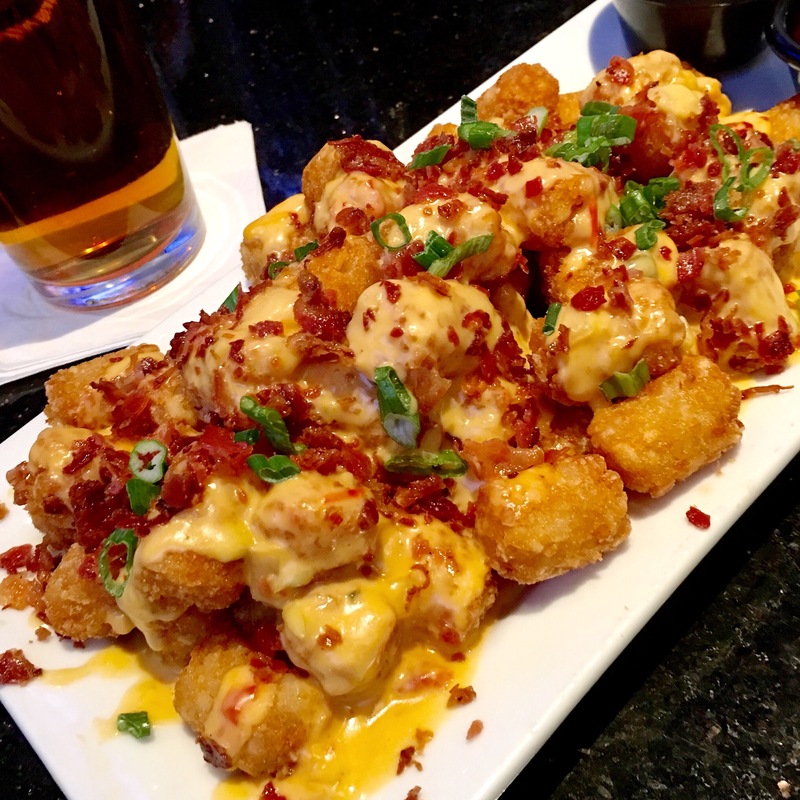 These outstanding loaded tots worked out just perfect. 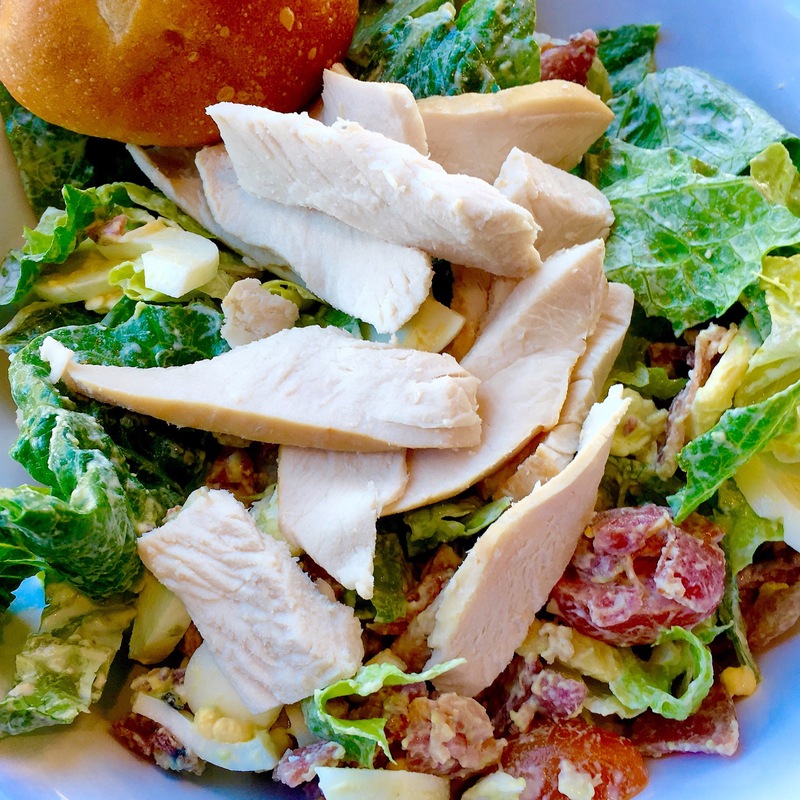 This place is kind of on the crunchy side, but still one of the better lunch eateries in 4S Ranch. Outstanding handmade salads, wraps, etc. 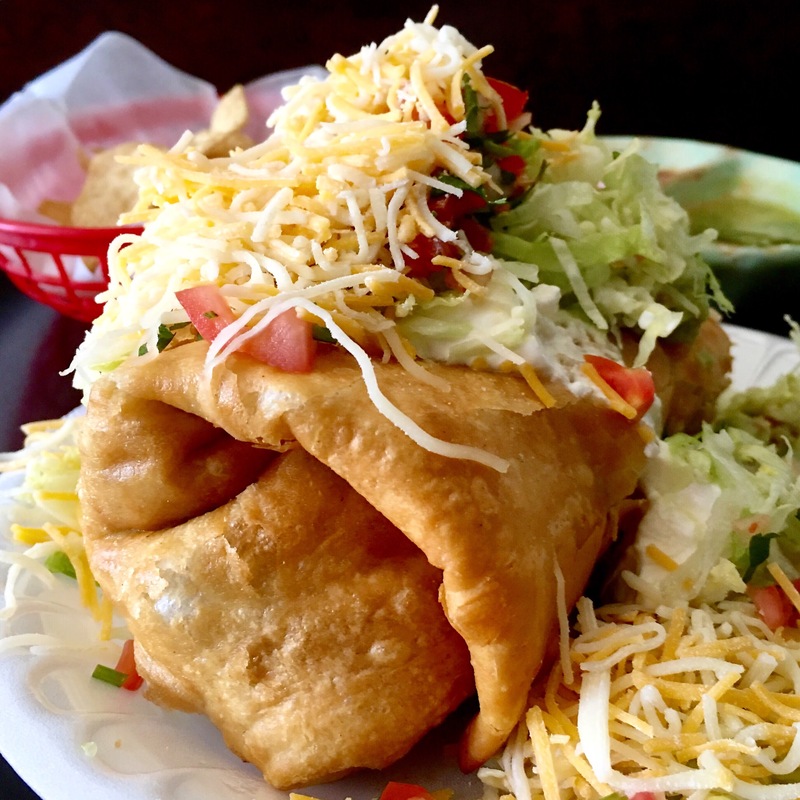 Big, beautiful chimichanga for breakfast this morning at La Cocina. This thing was as big as my head! For $8.50 it’s filled with a ton of shredded beef and cheese. After being fried it’s topped with guac, sour cream, lettuce, pico, cheese, etc. I think the kitchen sink is somewhere in there too.This was a really good and huge meal, but I’m not gonna sugar coat it. The shredded beef is pretty bland. A lot of Mexican restaurants doctor up their shredded beef with onions, peppers, sometimes maters, etc. Here it’s just plain beef. When there’s so much of it, it tends to get tiresome. 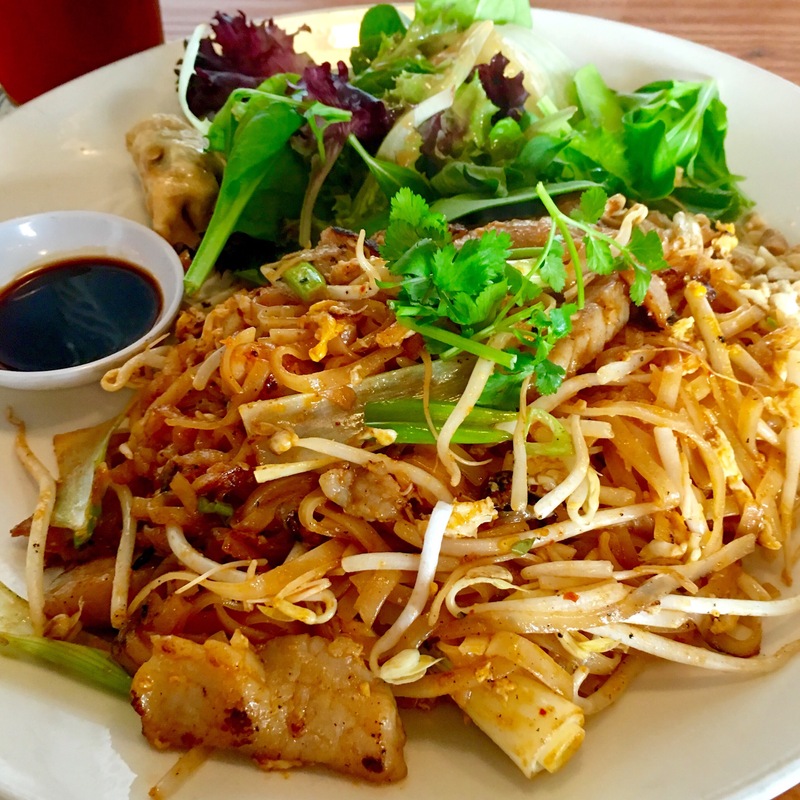 Outstanding Pad Thai lunch special at CTK! I just wish they put the salad on a separate plate. It unfortunately tends to sympathetically absorb warmth from the hot food.